There are 2 reviews of Taxi. I bought this because I heard that it's very similar to Guy La Roche's 1982 classic, Drakkar Noir. LOMANI: DN-like opening that lasts longer, but then it eventually dries down to this basic, weird spicy soda smell. CLASSIC MATCH: A very accurate clone of Drakkar Noir except the Lemon Pledge-aspect is prolonged and there's even less soapiness in the dry down than the original. AKTHAR NOIR: Opening is just like Drakkar Noir, doesn't have the warm raunch middle notes, it's much smoother. But it further dries down into this cheap plastic, $3 smell. No good. DAKAR: Smells just like shaving cream. Not a bad scent at all, but hardly any similarities to DN. So how does Cofinluxe's TAXI compare? The opening is definitely reminiscent of Drakkar Noir but with a *hint* of something sweet. Licorice maybe. However, here's no warmed up, raunchy middle notes like Drakkar Noir has. It goes straight into the basenotes which smells like tobacco and that that hint of licorice that's in the opening. Whereas Drakkar Noir is only really suited for winter weather and chilly nights, Taxi is lighter and much smoother. It's not a summer scent, but you could easily wear it in Fall or Spring weather. I can't pull off many 80s fragrances because they're usually too dirty in the dry down and/or far too pungent. Despite this one's dry down being clearly in the same vein as Polo and Drakkar Noir, it's so much smoother than those two. It's a shame this has such a cheap sounding name and cheap looking bottle design. If this stuff came in a black crocodile skin flask with a gold cap and had a name like Carrozza L'Uomo I think it would be held in a higher regard and probably go for a little more. 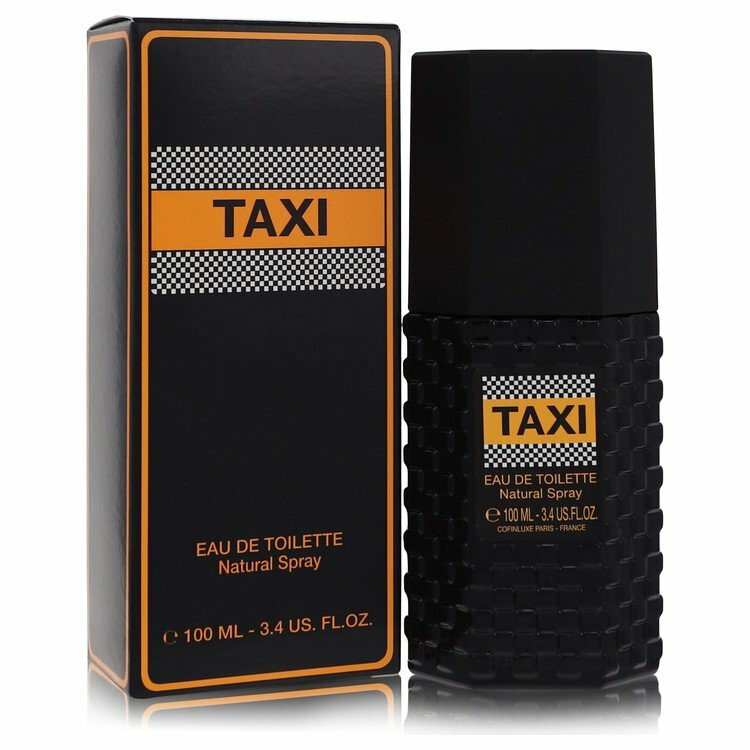 As the first to review Taxi by Cofinluxe this fragrance was created in 1984.I took an interest in getting a bottle as others claim this akin to Drakkar Noir as an alternate or 'for fans of'.I don't see that.You know what Taxi has in common with? Azzaro Pour Homme. On spray I get a very soapy blast which at first struck me on the level of Quorum or Sung Homme.The soap quickly settles down to a mild state and a lot of warm anise and spearmint comes right out. Moss comes out under the spearmint delivering lightly bitter undertones. Lavender keeps this fragrance clean and the spearmint enhancing freshness from it's clean side while keeping the hefty amount of anise tame and cool. Over a few hours this lavender/anise/spearmint trio creams down to a softer state, the moss becomes stronger, and a little musk and tobacco blossoms out. Cigarette tobacco not pipe tobacco. The combination doesn't really dive towards delivering a sensual quality...just a masculine 'guy vibe'. As a $10 fragrance Taxi is definitely a daily casual or work wear fragrance.It's projection is light at 4-6 hours so I don't think you'd have to worry about the anise being too heavy or bothering people around you...but it is rich.This is definitely a modified but inspired take on Azzaro Pour Homme.I really like this hidden gem..thumbs up in my opinion! There are no member images of Taxi yet. Why not be the first?